Easter is quickly approaching! What fun activity ideas do you have planned for your little ones? For us, this will be the first year that the Easter Bunny stops by our house for a special egg hunt. Last year he just left some special treats but no egg hunt since my son wasn’t at the walking stage yet. 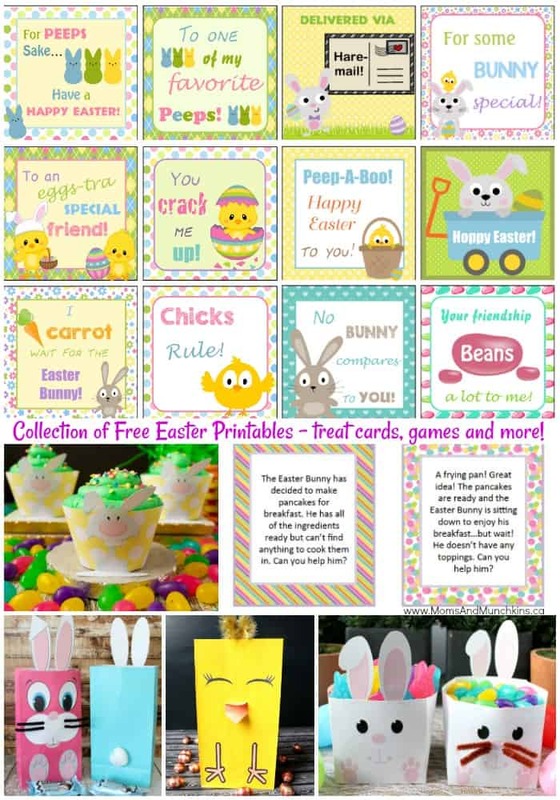 If you are still looking for some fun Easter ideas, here are some free Easter printables – treat tags, game ideas, party ideas, and more – that you could use during your celebrations! Simply click on the photos to access the free printables. 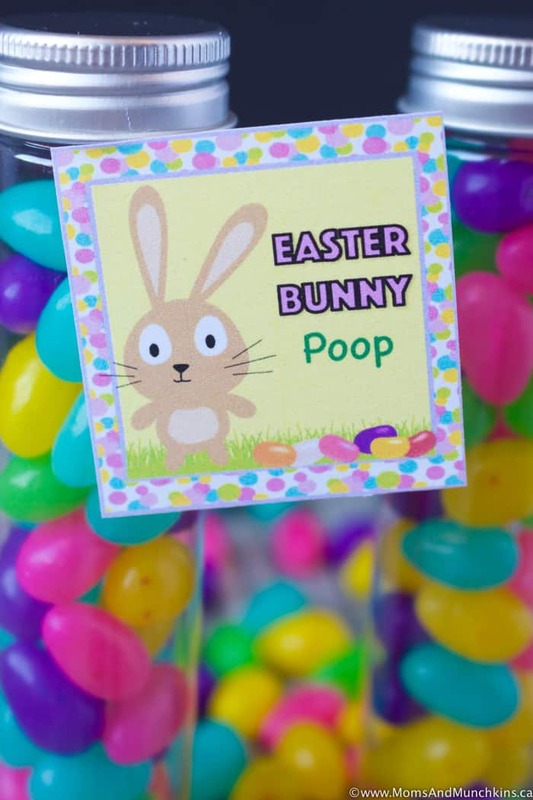 I don’t know what it is about poop that kids find so funny but this Easter Bunny Poop tag is a cute idea for a jelly bean or chocolate egg treat for the kids. Remember – don’t eat the brown jelly beans! Ha! 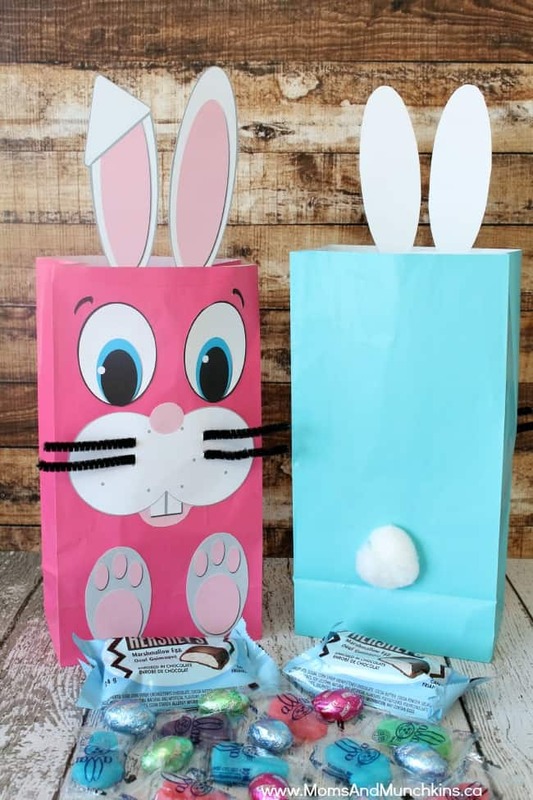 Nothing makes me laugh quite like puns so I’ve put together a cute collection of free printable Easter Puns cards plus candy or treat ideas to go with each card. 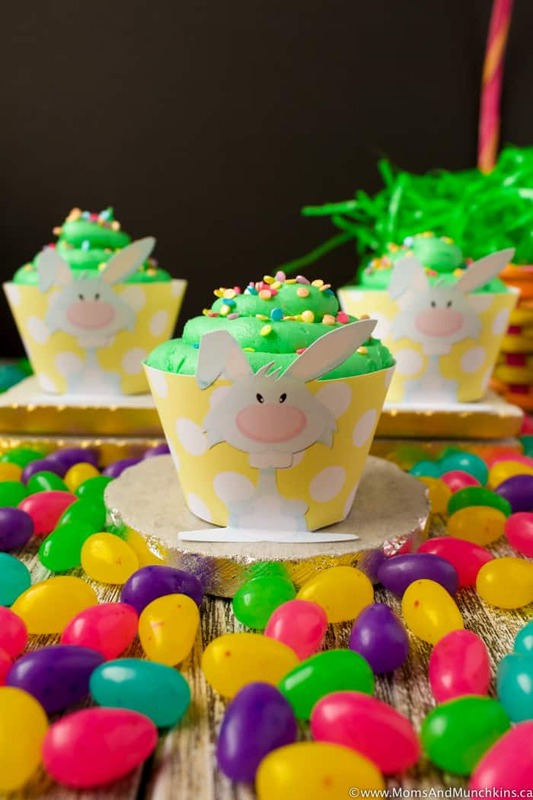 Bunny Cupcake Wrappers – turn any cupcake into a cute Easter treat with these free Bunny Cupcake Wrappers! 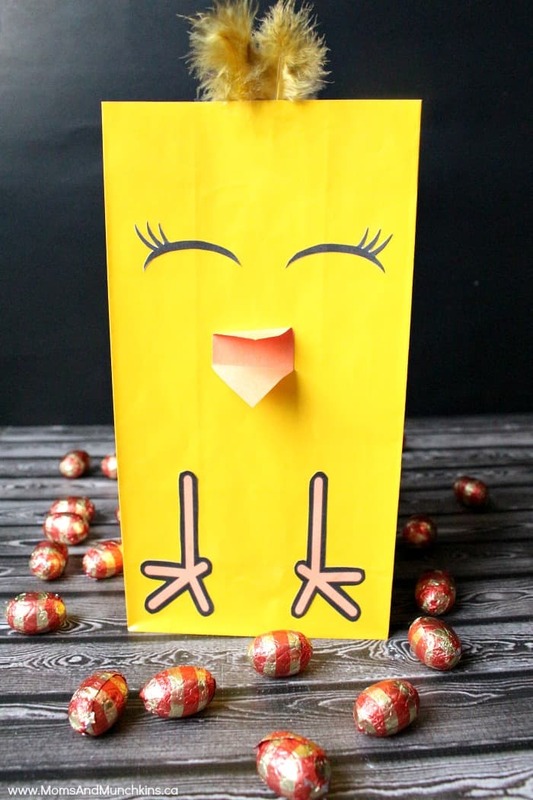 For an adorable DIY treat bag for kids – check out these Bunny Bags or Easter Chick bags. 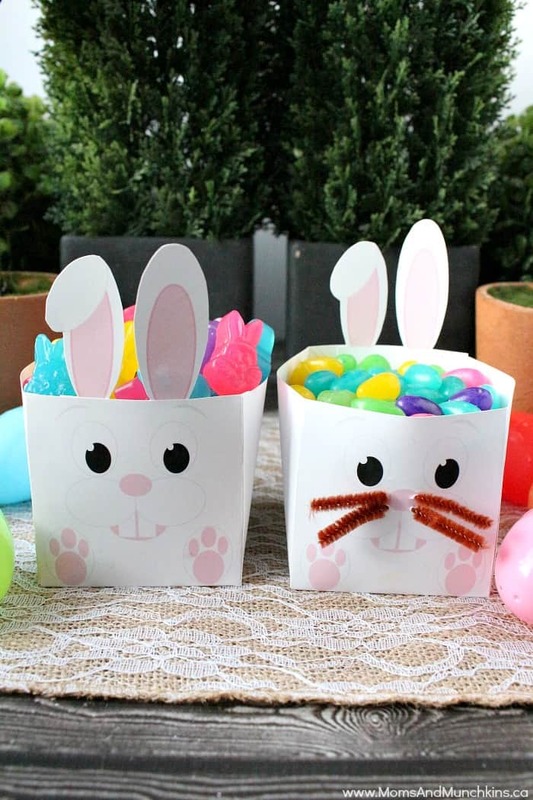 These Easter Bunny Boxes are a cute treat holder for jelly beans & chocolate! These make a cute treat to handout to classmates. 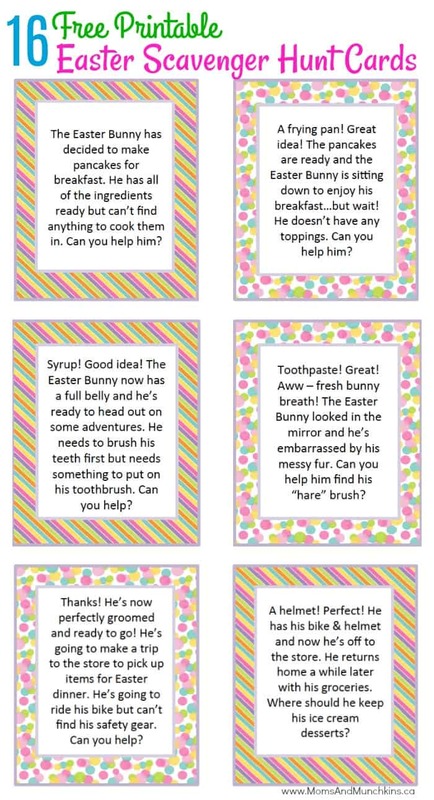 Printable Scavenger Hunt Cards – a fun Easter game to set up for your kids! Scrambled Easter Jokes – have your kids match the joke questions with the answers. 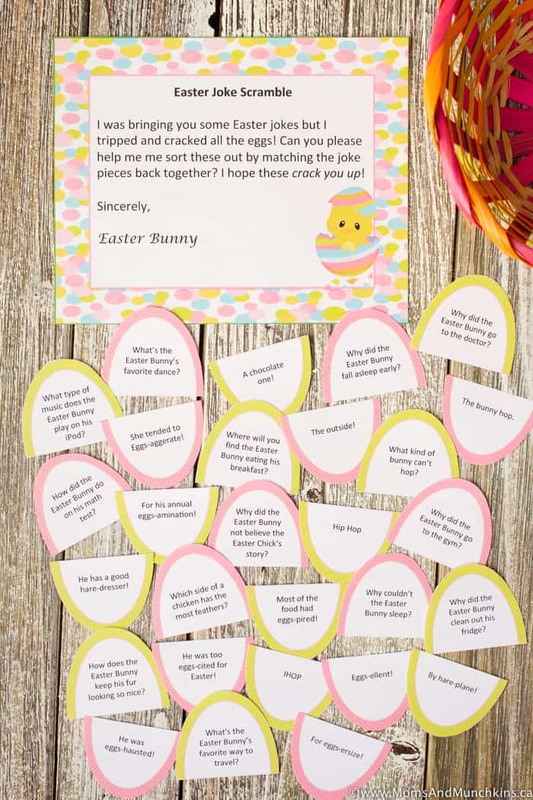 This is part of a larger free printable Easter Treasure Hunt game. 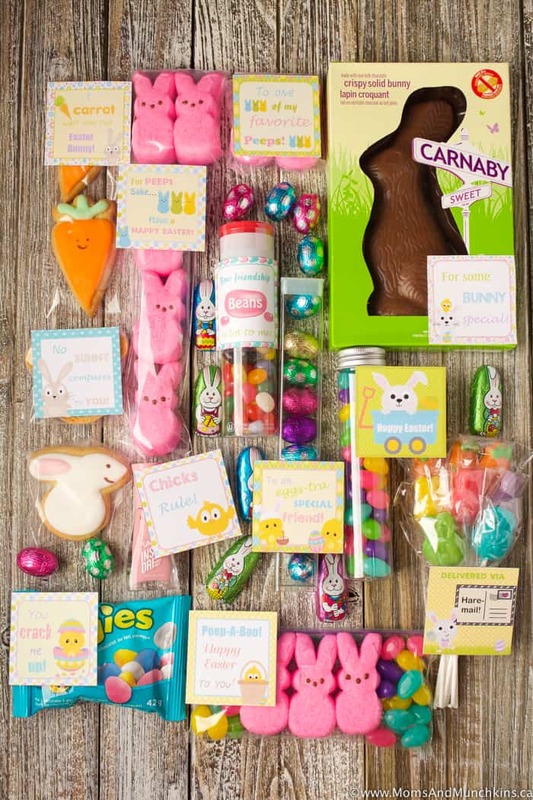 For even MORE Easter ideas, visit our Easter Page for a listing of other fun & free ideas like treasure hunt ideas, scavenger hunt ideas, party ideas, printable games, recipes and more!